Our end of tenancy cleaning for Barnet EN4 properties is customisable to meet the needs of tenants, landlords, and estate agents. It covers all points of a move-out report to guarantee that tenants will get their bond back and gives landlords and estate agents the opportunity to boost the lease value when letting out a property. Schedule a session with local technicians and get the optimal results you need. You take advantage of professional equipment, bespoke detergents, and a 72-hour re-clean guarantee that will live up to your standards. bathroom — we clean bathtubs, shower cubicles, shower screens and tiles, sinks, and toilets. kitchen — we hoover and mop floors, wipe all surfaces, cupboards, the inside of windows, doors, and all kitchen appliances. bedroom — we hoover and mop the floors, clean under the beds, wipe the windows from the inside, wipe top of the doors, clean all mirrors, pictures, frames, and drawers. living room — we will hoover and mop the floors, clean windows on the inside, dust all surfaces, and polish all mirrors, frames, and pictures. hallways — we will hoover and mop the floors, wipe railings, clean mirrors and pictures. And since we are already at your place, we would love to load your waste and dispose of it in eco-friendly manner with our rubbish removal service. * EOT rates vary depending on your property size and if carpet cleaning is also included in the package. Why Hire Us As Your End of Tenancy Cleaners in Barnet? 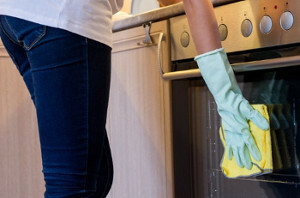 With us, you can hire experienced end of tenancy cleaners in Barnet who know what is needed to get your property in a spotless condition and get your bond back guaranteed! We also have discount options for combined bookings, should you request carpet cleaning and window cleaning as well, and we are available 24/7 over the phone and online for information, bookings, rescheduling, and all kinds of questions you might have. Our end of tenancy quotes can be requested free of charge and obligation over the phone and online. Each service is customisable to meet the needs of tenants, landlords, and estate agents. Our services are covered by insurance and come with a 72-hour re-clean guarantee. The service is not hourly-based, which means that the teams of cleaners will work until everything is up to standard. You have the option to book carpet cleaning with your end of tenancy cleaning at half the price. You may have been planning your move out for months or you may have had your lease agreement broken unexpectedly. Whatever the case and no matter how much time you have, you can count on professional cleaning that will get you your deposit back exactly when you need it. Book instantly over the phone at 020 7846 0225, request a call-back via our booking form or start a conversation with a representative right now via the live chat we support on our website.